Taking a car ride that is spiced up with some music is certainly a great idea. If you intend to enjoy just that, then you will have to consider a music system for your car. One of the main components of any car music system is the speaker. It is recommended that you consider 6.5 speakers since they are ideal for any car. Before you make your selection, you should first take into account each and every feature that can spice up your experience. In other words, you must avoid making blind choices. A thorough search in the market is more than enough to bring a handful of choices to you. 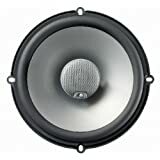 So, which are some of the things that you must consider before choosing 6.5 speakers for your car? 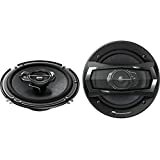 In as much as 6.5 car speakers are under one type, there are other sub-categories that you must consider. Basically, car speakers fall under two main categories, which are component and full-range. Component speakers are designed to project the best quality of sound. The sound system comes in different components, which can be positioned strategically to ensure best sound projection. Based on their level of sophistication and advancement, component speakers are usually expensive. Full-range speakers on the other hand are simple and less sophisticated. In most cases, such speakers do not feature separate components. Instead, the come as an all-in-one system. Full-range speakers are usually the easiest to install since no integration is required. This is actually the most important consideration of them all. Why? It is for the simple fact that speakers are meant to project sound and that must be done in the best way possible. You need to therefore account for the sound quality that the speaker you want to buy can offer. The very first thing under sound quality is the frequency range. This is defined as the highest or lowest sound that a speaker can produce. In this case, you should consider a speaker whose frequency range is high enough. Such a speaker can hit the highest pitch without any distortion. It is recommended that you consider car speakers whose frequency range is 20,000 Hz and above. The second consideration under sound quality is sensitivity. This can simply be defined as the efficiency of the speaker with regard to the power offered by the amplifier. You should be in the hunt for car speakers whose sensitivity allows it to project sound in a clear way. It is very important to also consider the size of the speakers you intend to install in your car. The truth is that cars usually do not have ample interior space. This is the very reason why you should consider speakers that do not consume all your space. The best 6.5 car speakers are those that are neither too large nor too small. If you intend to install a subwoofer in your car, then consider one that can fit well in the trunk. Other speakers should easily fit in their respective positions without ruining the internal appearance of your car. Speakers that do not have large housing should be considered for car use. Car speakers usually come as a complete system. However, some systems may have lesser components than others. Checking the kind of components available is therefore a great idea. Tweeters should be the first ones to consider. Note that tweeters play a very vital role in enhancing the final sound output. You need to consider if the speaker you are about to buy comes with tweeters or not. If there is any, go ahead and check if they are of the best quality and if they can produce the best sound. Detachable tweeters are always considered best for any car. If possible, you can get a speaker system that has even the pivoting tweeters. The subwoofer is the second consideration with regard to speaker components. To spice up the sound quality, you need a bit of low frequency tone. This is where the subwoofer comes in. You should consider a system that has the best subwoofer for the sake of sound quality. This is what most people know as the number of watts that a speaker has. For you to enjoy the richest sound in your car, the speakers you choose should have high number of watts. The more the power output that a speaker has, the better the sound it produces. 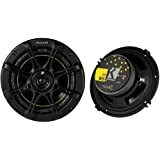 Car speakers can be of up to 2000 watts. You should look for a speaker that makes you feel the urge for more music due to the heavy beats. However, you must ensure that the car speaker you have chosen can withstand the power emitted by the amplifier. The sound quality must not be compromised at all due to challenges in handling power emitted by the amplifier. No one can dispute that this quality speaker for car is pretty powerful. It has a power output capacity of 300 Watts. This alone is enough to confirm that the speaker is indeed a great one in sound production. Aside from that, the speaker comes with tweeter extension for the purpose of sound quality. Important to note, these are 6.5-inch high end car speakers. The structure of this speaker is far beyond anyone’s expectation. It is made in such a manner that its performance is upheld at all times. The titanium-dome tweeters that come with the speaker are an added sound complement. They have the capacity to produce rich sound. When complemented with the low sound frequency from the subwoofer, you are assured of nothing but the best. It is a 2-way speaker system whose performance matches well with any car. The speaker has a high power output of 180 watts and this is why its performance is on the higher side. To make things better, the speaker comes with swiveling tweeters for the purpose of sound enhancement and projection. They can be adjusted towards a certain direction for the best projection. Their sound frequency can also be adjusted to suit the preference of the listener. It is very easy to balance the sound between the subwoofer and the tweeters.